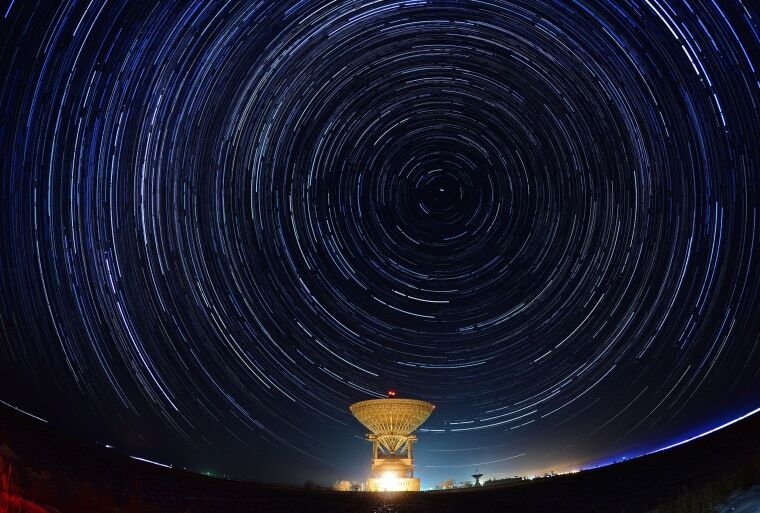 Meteors streak across the night sky over the Galenki RT-70 radio telescope at the Titov Main Space Test Center in Russia's Primorye Territory on Dec. 14. A photo released on Jan. 6, 2015, shows one of the most iconic Hubble Space Telescope images revisited: the Eagle Nebula's Pillars of Creation. 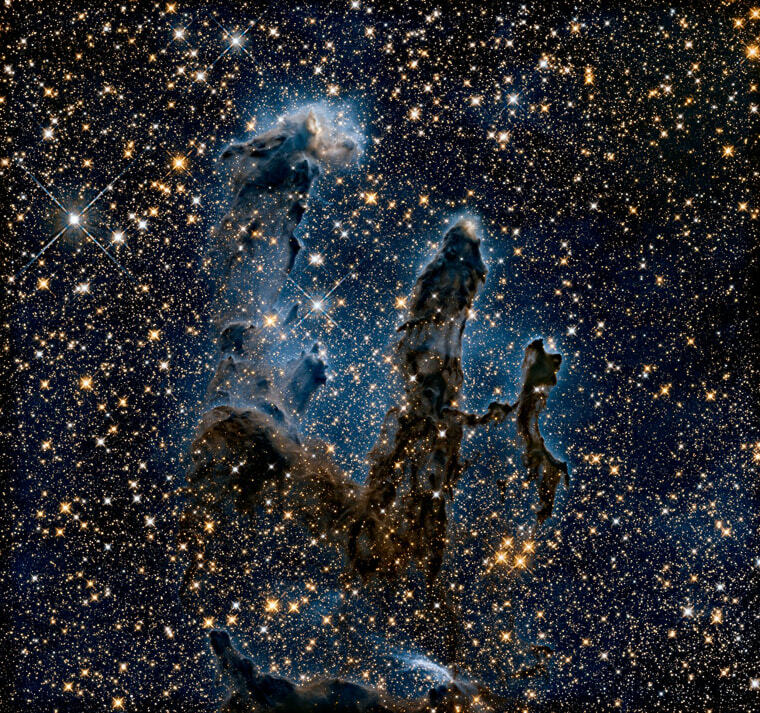 Near-infrared light transforms the pillars into eerie, wispy silhouettes, seen against a starry background. 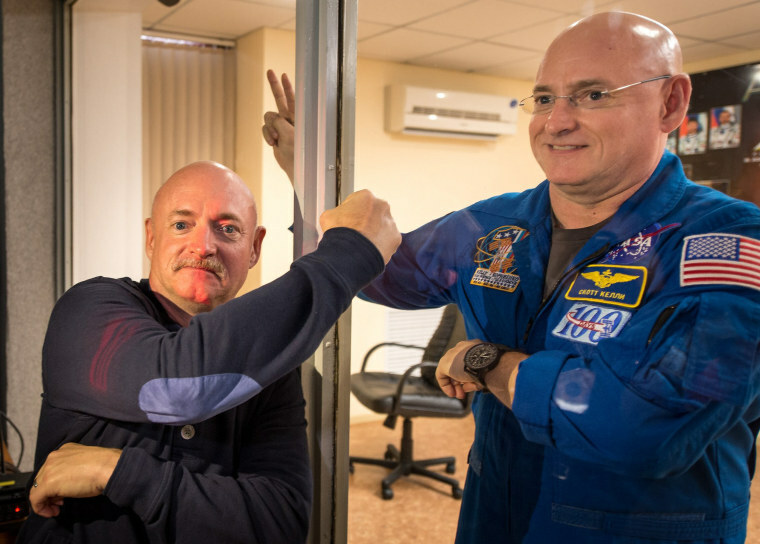 Retired NASA astronaut Mark Kelly, left, clowns around with his identical twin brother, Scott Kelly, at a March 26 news conference at the Cosmonaut Hotel in Baikonur, Kazakhstan. 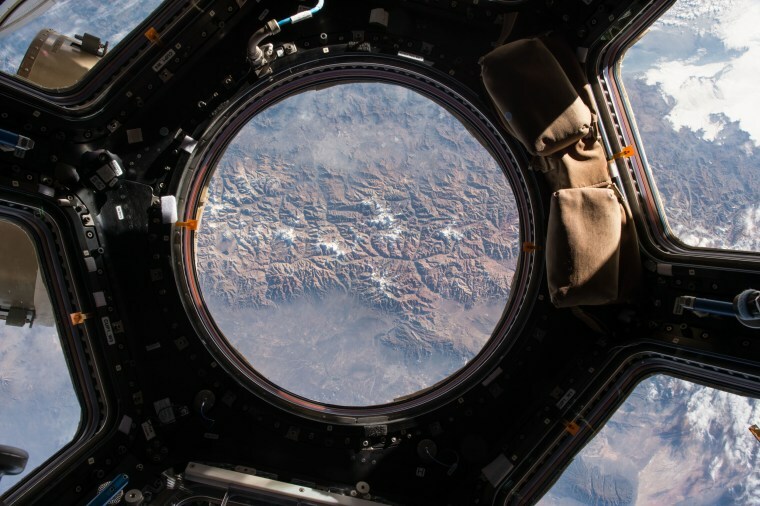 The Andes Mountains appear in the windows of the Cupola observation deck on the International Space Station, in an image tweeted by NASA astronaut Scott Kelly on May 1. 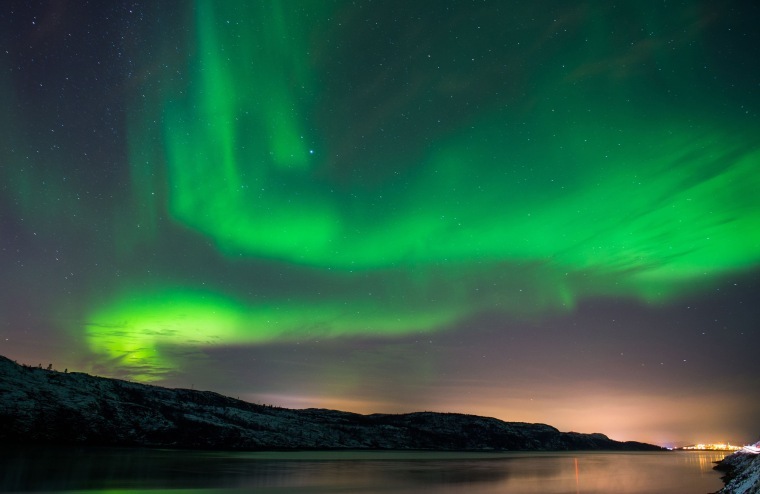 The aurora borealis, or northern lights, illuminate the night sky on Nov. 12, near the town of Kirkenes in northern Norway. Auroras are sparked by collisions between atoms and ions in Earth's atmosphere and electrically charged particles released by the sun. 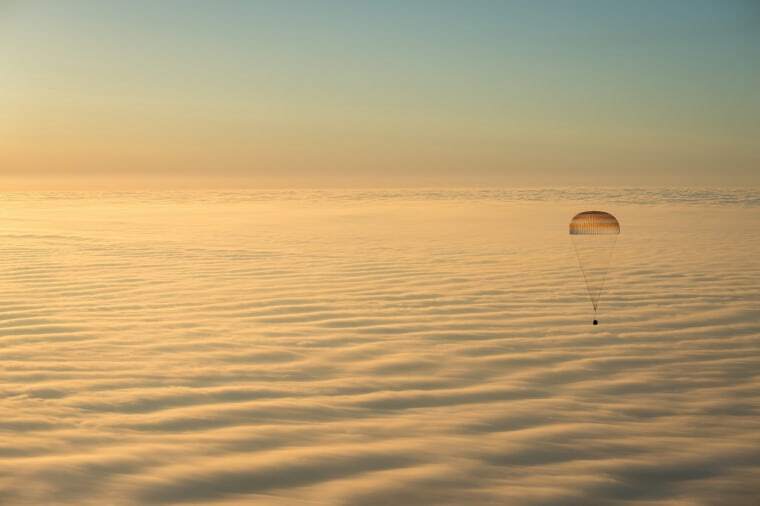 A Russian Soyuz capsule descends toward the steppes of Kazakhstan at the end of a parachute on March 12, bringing NASA astronaut Barry Wilmore and Russian cosmonauts Alexander Samokutyaev and Elena Serova back to Earth from the International Space Station. 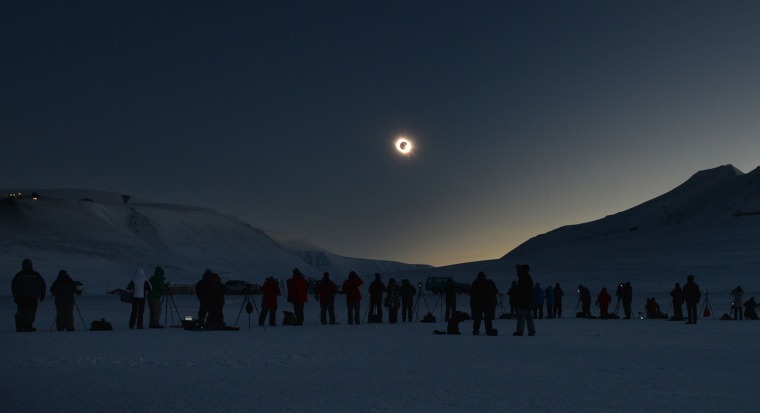 People watch the total solar eclipse from Longyearbyen, Svalbard, an archipelago administered by Norway, on March 20. Thousands gathered in Svalbard and the Faroe Islands off Iceland, because these were the only places in Europe where a total eclipse could be seen. Apart from a few small breaks, a blanket of clouds in the Faroe Islands kept thousands of people there from experiencing the full effect of the total eclipse. 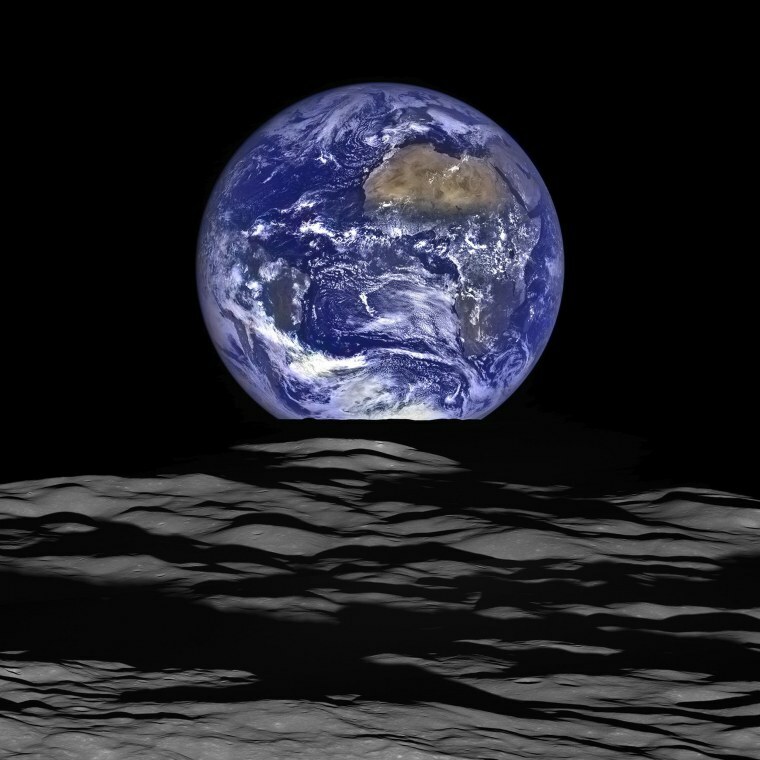 NASA's Lunar Reconnaissance Orbiter (LRO) captured this view of Earth from the spacecraft's vantage point in orbit around the moon in a composite image released on Dec. 18. Earth appears to rise over the lunar horizon with the center of the Earth just off the coast of Liberia. The large tan area in the upper right is the Sahara Desert and just beyond is Saudi Arabia. On the moon, we get a glimpse of the crater Compton. This image was composed from a series of images taken Oct. 12, 2015 when LRO was about 83 miles above the moon. 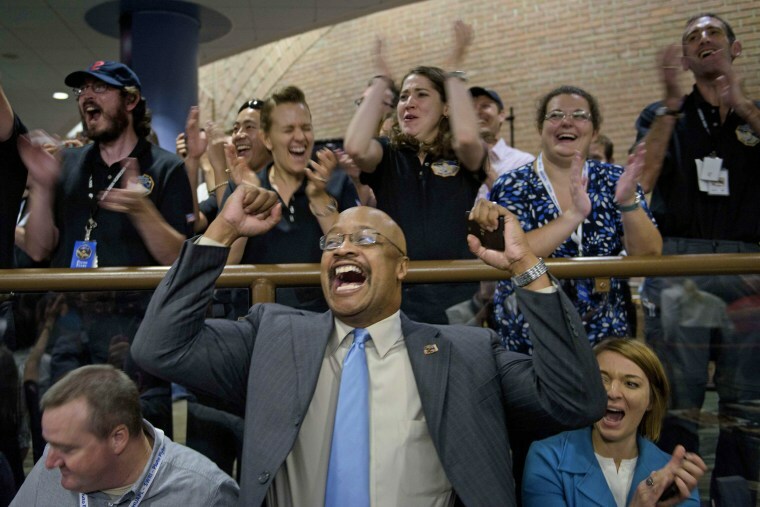 NASA and project staff react with others as telemetry is received from the New Horizons probe at the Johns Hopkins University Applied Physics Laboratory in Laurel, Maryland on July 14. 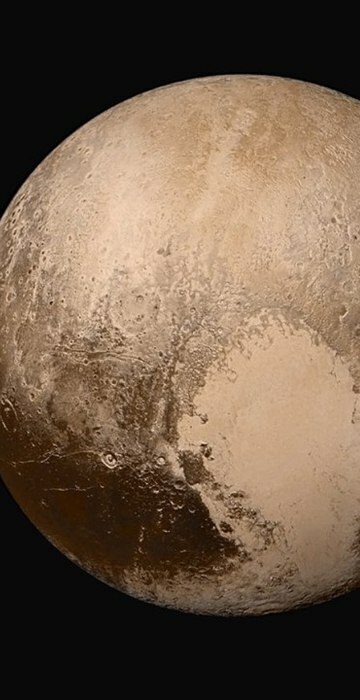 The signals from a spacecraft 3 billion miles away confirmed that NASA's probe survived its history-making Pluto flyby. Four images from New Horizons' Long Range Reconnaissance Imager (LORRI) were combined with color data to create this true-color global view of Pluto. 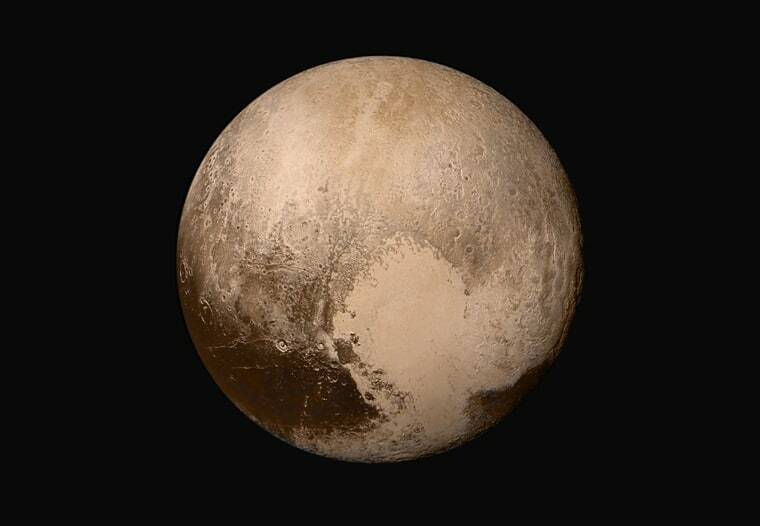 The images, taken when the spacecraft was 280,000 miles from Pluto, show features as small as 1.4 miles. 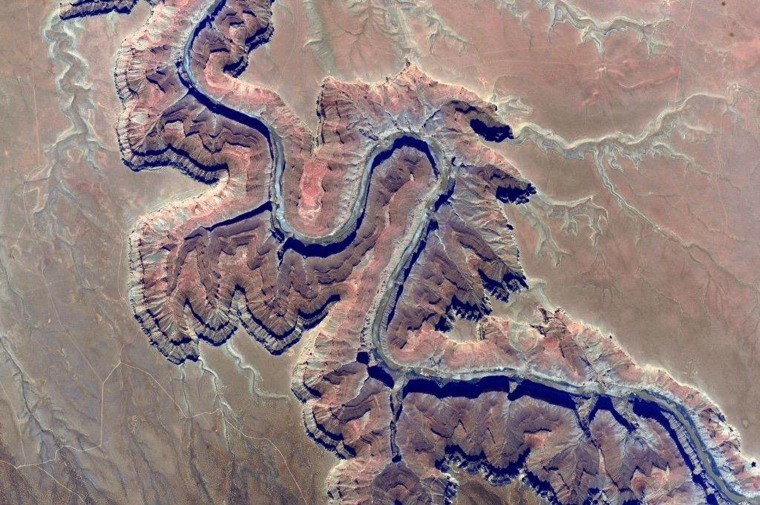 NASA astronaut Kjell Lindgren tweeted this image of northern Arizona from the International Space Station on Aug. 23, noting "Crazy how the shadows make this canyon look like a ridge!" 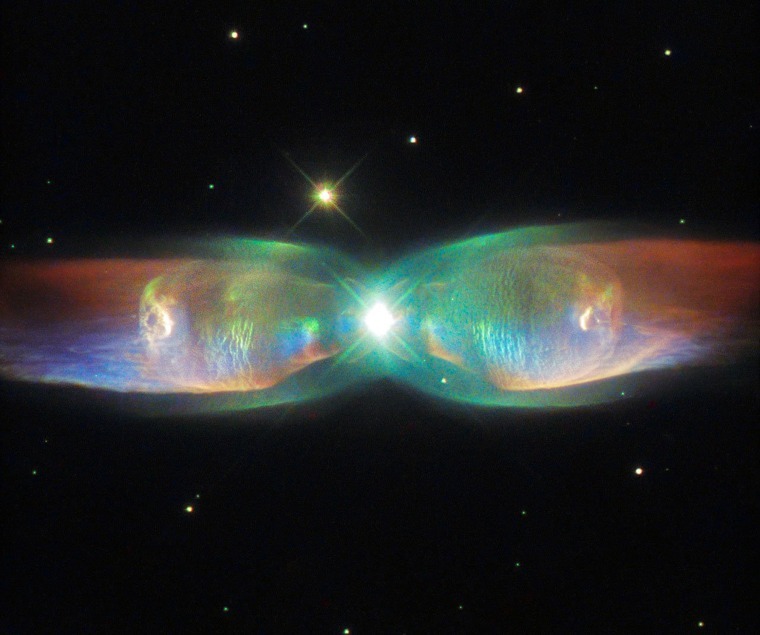 The Twin Jet Nebula, or PN M2-9, a striking example of a bipolar planetary nebula, appears in this Hubble Space Telescope image released on Aug. 26. Bipolar planetary nebulae are formed when the central object is not a single star, but a binary system. Studies have shown that the nebula's size increases with time, and measurements of this rate of increase suggest that the stellar outburst that formed the lobes occurred just 1,200 years ago. 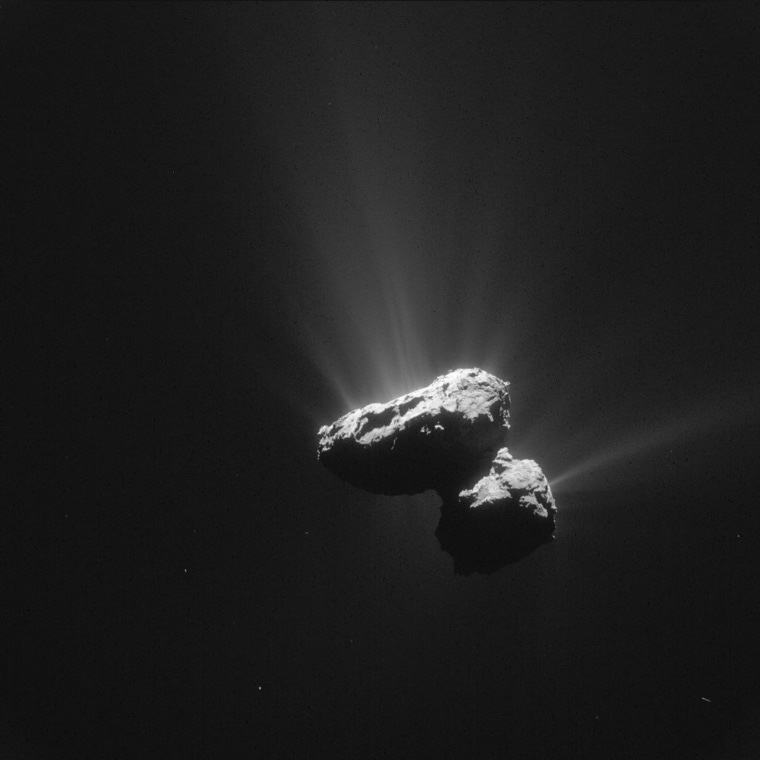 This single frame Rosetta navigation camera image of Comet 67P/Churyumov-Gerasimenko was taken on July 14 from a distance of 100 miles from the comet center.European scientists celebrated an historic first when Philae landed on the comet in November 2014 after a 10-year journey through space aboard the Rosetta spacecraft. The comet is 317 million miles away from Earth. 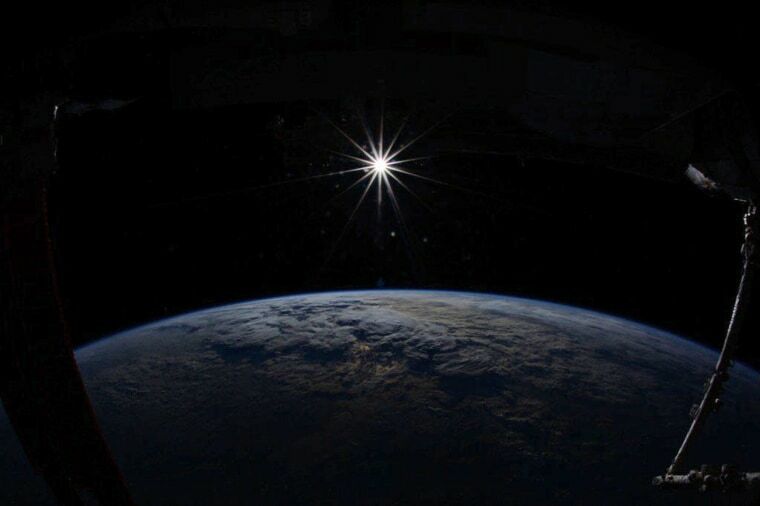 Astronaut Kjell Lindgren tweeted this image of the Earth from the International Space Station on Dec. 10, with the message, "A heartfelt thanks to everyone who made #Exp45 [Expedition 45] possible. Merry Christmas!" 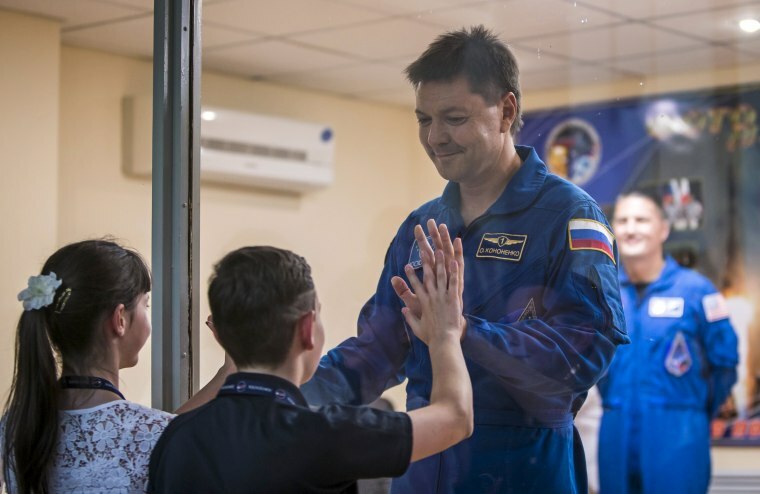 International Space Station crew member Oleg Kononenko of Russia interacts with his children from behind a glass wall at a news conference at the Baikonur cosmodrome in Kazakhstan on July 21, two days before launch. Soyuz crews enter quarantine before launch. 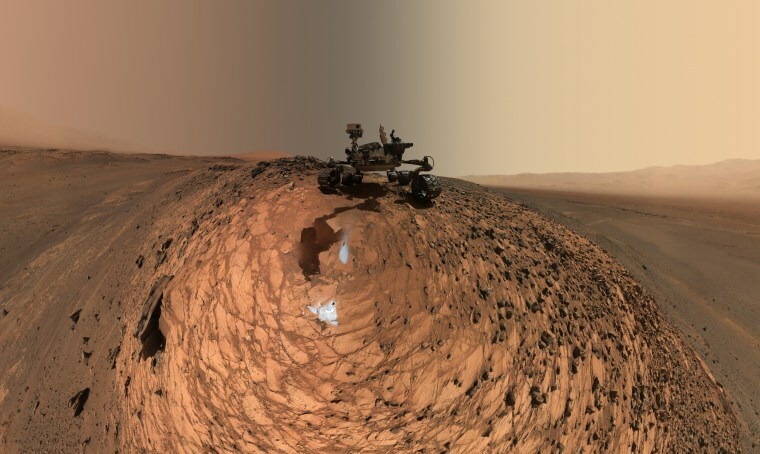 This low-angle self-portrait of NASA's Curiosity Mars rover shows the vehicle above the "Buckskin" rock target, where the mission collected its seventh drilled sample. The site is in the "Marias Pass" area of lower Mount Sharp.The scene combines dozens of images taken by Curiosity's Mars Hand Lens Imager on Aug. 5, during the 1,065th Martian day of the rover's work on Mars. For scale, the rover's wheels are 20 inches in diameter and about 16 inches wide. 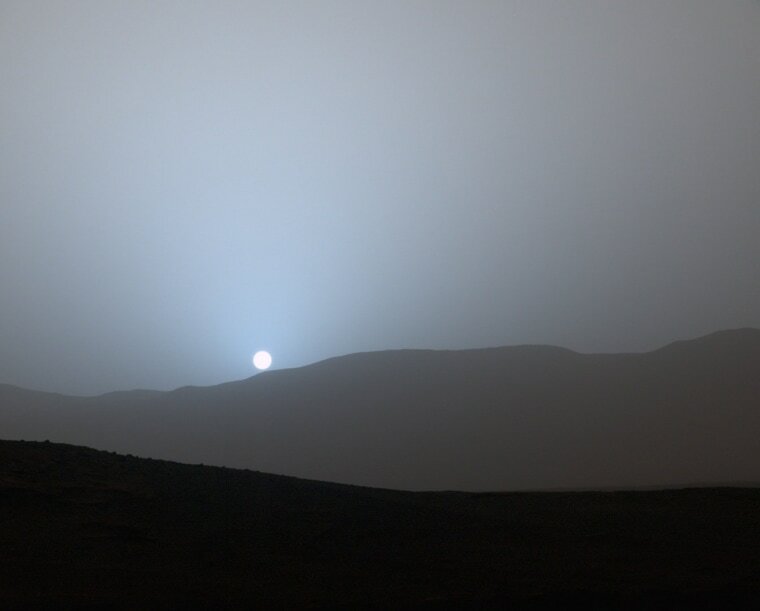 NASA's Curiosity rover captured this view of a Martian sunset at Gale Crater on April 15. The picture was released on May 8. This was the first sunset observed in color by Curiosity. The image comes from the left-eye camera of the rover's Mast Camera (Mastcam). The color has been calibrated and white-balanced to remove camera artifacts. Sunsets on Mars are blue because of the way light is scattered by dust in the thin Martian atmosphere.What makes skies blue ... or red? 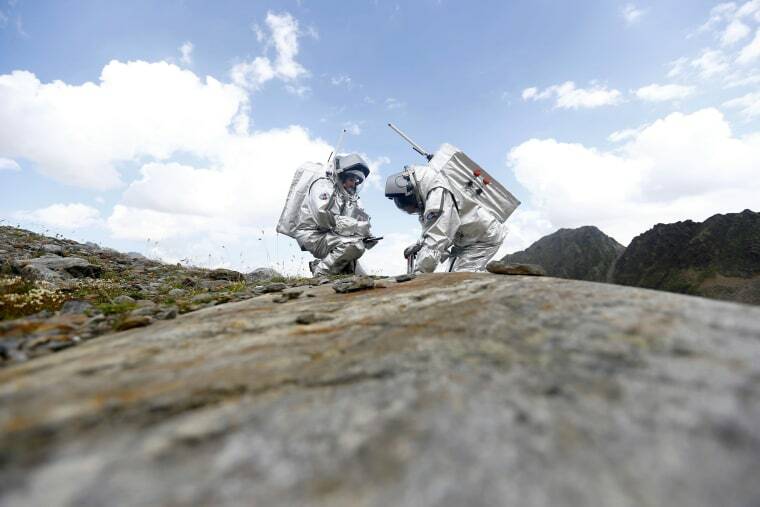 From left, Inigo Munoz Elorza of Spain and Stefan Dobrovolny of Austria take stone samples during a simulated Mars mission on Tyrolean glaciers in Kaunertal, Austria, on Aug. 7. Researchers from the Austrian Space Forum were practicing maneuvering in spacesuits on a glacier which resembles the terrain on Mars. 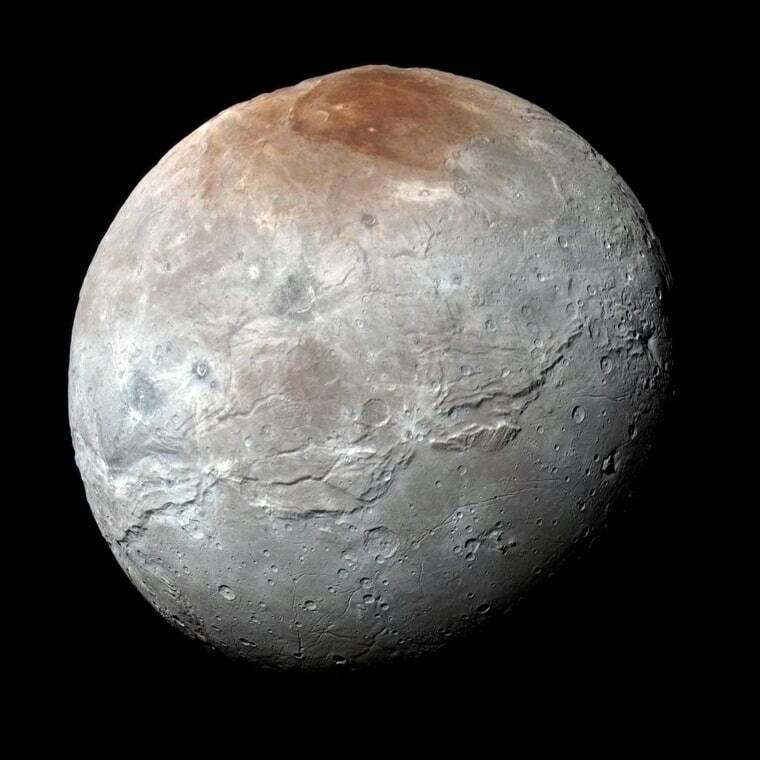 Massive canyons and fractures are clearly visible on Charon, a moon which is more than half of Pluto’s size, in this enhanced color photo released on Oct. 1.The piano-sized New Horizons probe zoomed past Pluto and its moons in July but because of the vast distance it will take 16 months to transmit all the data from the flyby. 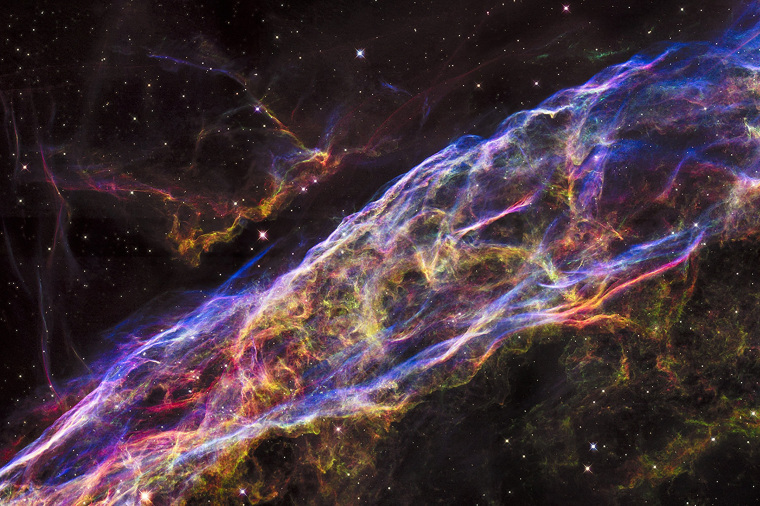 A small section of the expanding remains of the Veil Nebula, a massive star that exploded about 8,000 years ago, is seen in an image from NASA's Hubble Space Telescope released Sept. 24. The entire nebula is 110 light-years across and resides about 2,100 light-years away in the constellation Cygnus. 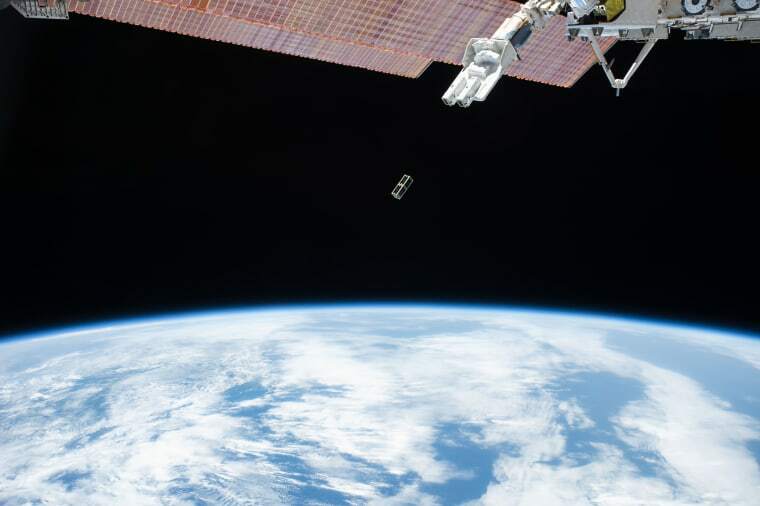 A satellite is deployed from outside the Japanese Experiment Module of the International Space Station on Sept. 17. Expedition 46 Flight Engineer Tim Kopra performs a spacewalk on Dec. 21. 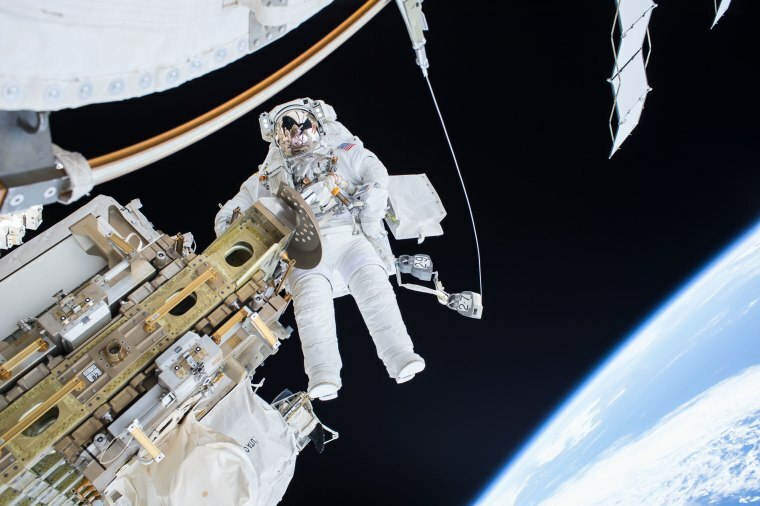 Kopra and Commander Scott Kelly successfully moved the International Space Station's mobile transporter rail car ahead of the docking of a Russian cargo supply spacecraft. The three-hour and 16-minute spacewalk was the second for Kopra, who arrived to the station on Dec. 15, and the third for Kelly, who is nine months into a yearlong mission. Using the International Space Station's robotic arm, Canadarm2, NASA Flight Engineer Kjell Lindgren prepares to capture Orbital ATK's Cygnus cargo vehicle on Dec. 09. 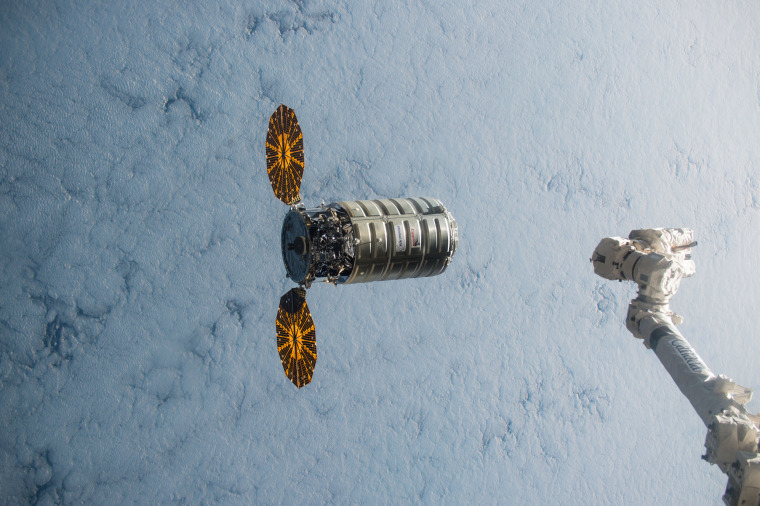 More than 7,000 pounds of supplies were delivered to the space station. 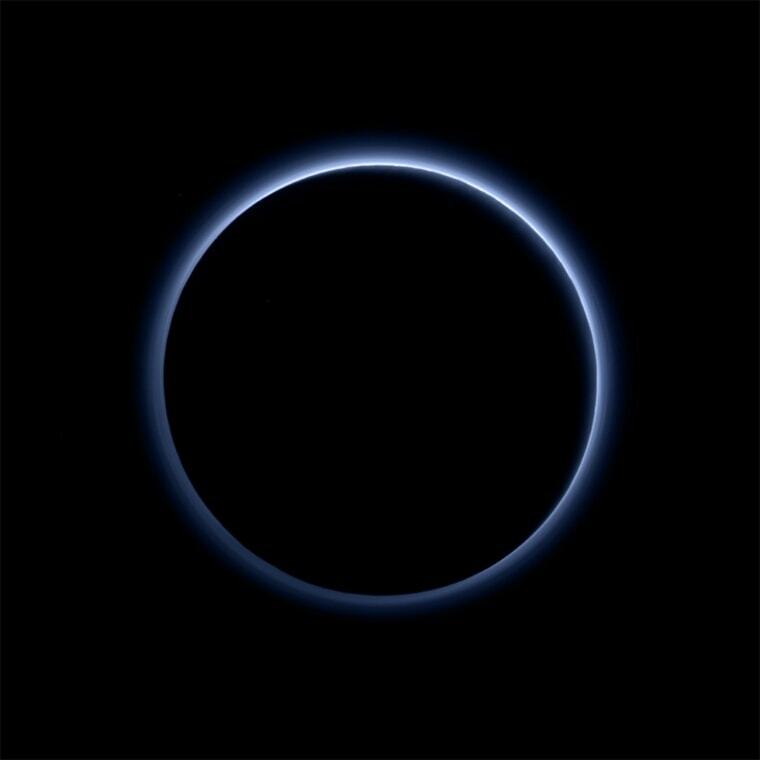 Pluto's haze layer shows its blue color in this picture released on Oct. 8, captured by a camera on NASA's New Horizons spacecraft. The high-altitude haze is thought to be similar in nature to that seen on Saturn's moon Titan. 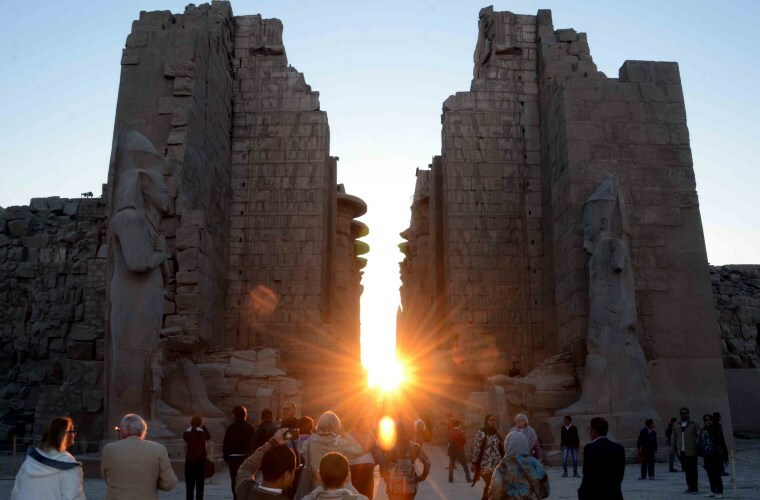 Visitors admire the alignment of the winter solstice sunrise and the Temple of Karnak in Luxor, Egypt, on Dec. 22. An image released by NASA on Aug. 6 shows a unique view of the Moon as it passed between the Deep Space Climate Observatory spacecraft and the Earth on July 16. 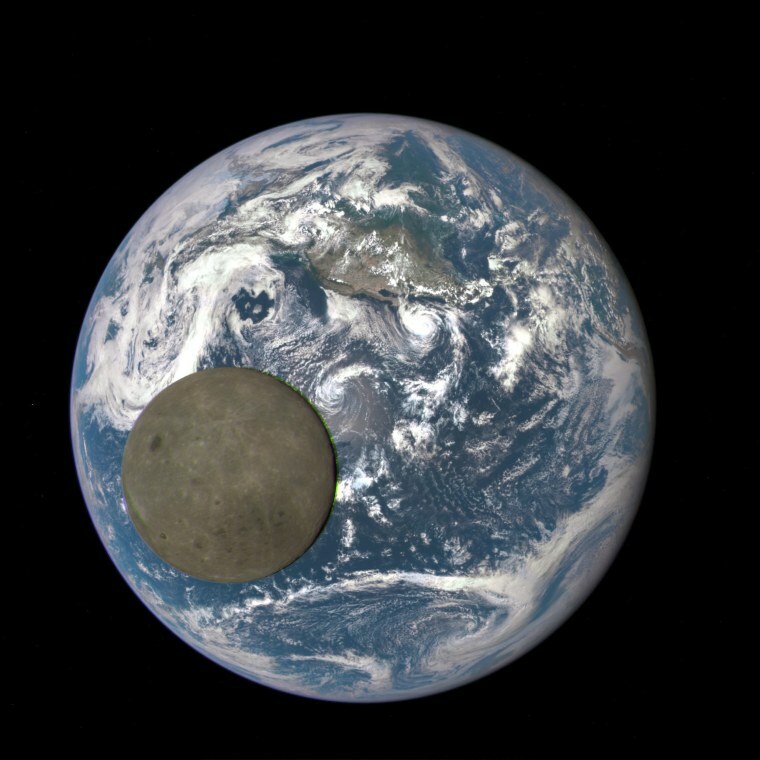 The image shows the fully illuminated "dark side" of the Moon that is not visible from Earth. 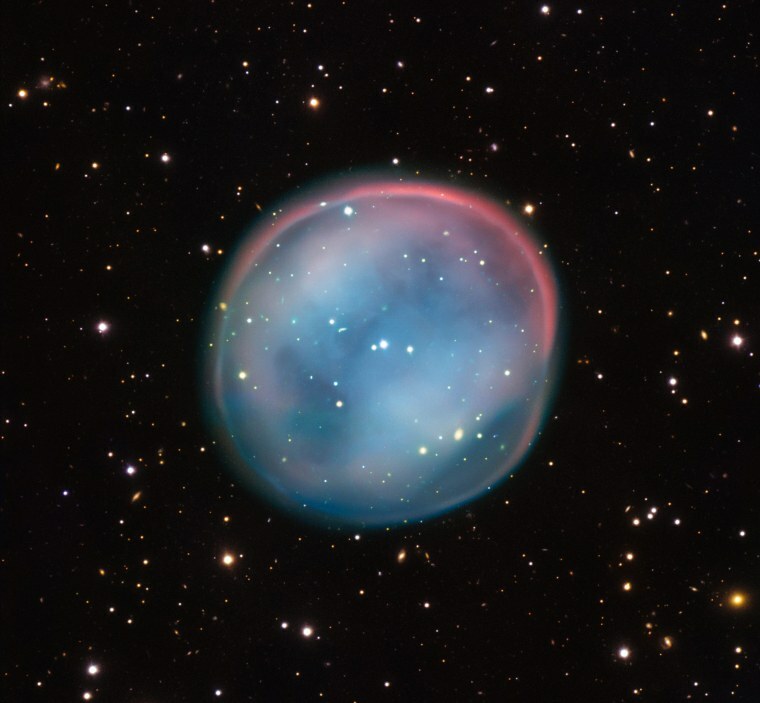 An extraordinary bubble glows like the ghost of a star in the haunting darkness of space in this image made available on Aug. 5 by the European Southern Observatory. The phenomena may appear supernatural and mysterious, but it is a familiar astronomical object: a planetary nebula, the remnants of a dying star. This is the best view of the little-known object ESO 378-1 yet obtained and was captured by ESO's Very Large Telescope in northern Chile. Nicknamed the Southern Owl Nebula, the orb is almost four light-years in diameter. 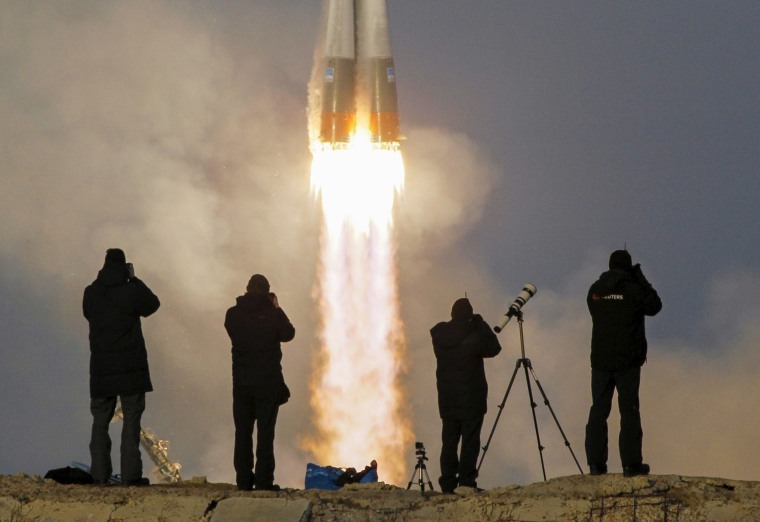 Photographers take pictures as the Soyuz TMA-19M spacecraft--carrying the crew of Timothy Peake of Britain, Yuri Malenchenko of Russia and Timothy Kopra of the U.S.-- blasts off to the International Space Station from the launchpad at the Baikonur Cosmodrome in Kazakhstan on Dec. 15. 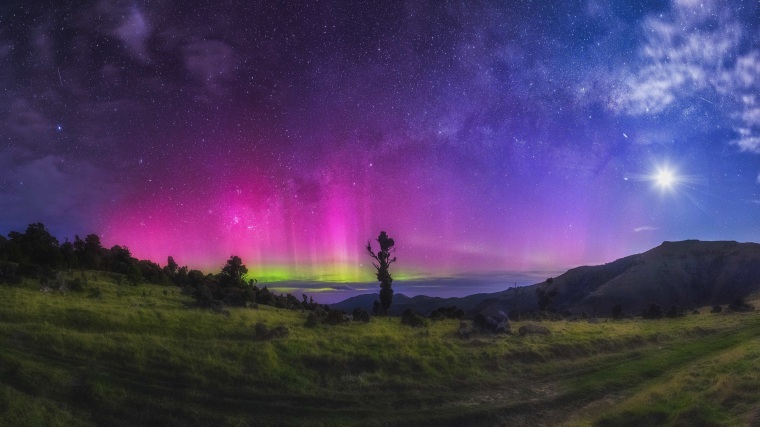 The Aurora Australis, the southern counterpart of the Aurora Borealis, lights up the sky over South Island, New Zealand, on Dec. 4. Auroras are sparked by collisions between atoms and ions in Earth's atmosphere and electrically charged particles released by the sun. Variations in color are due to the types of particles that are colliding. The 50-foot dish of the decommissioned Swedish-ESO Submillimetre Telescope (SEST) slumbers beneath a star-studded night sky at ESO's La Silla Observatory in Chile in this image released on Dec. 9. 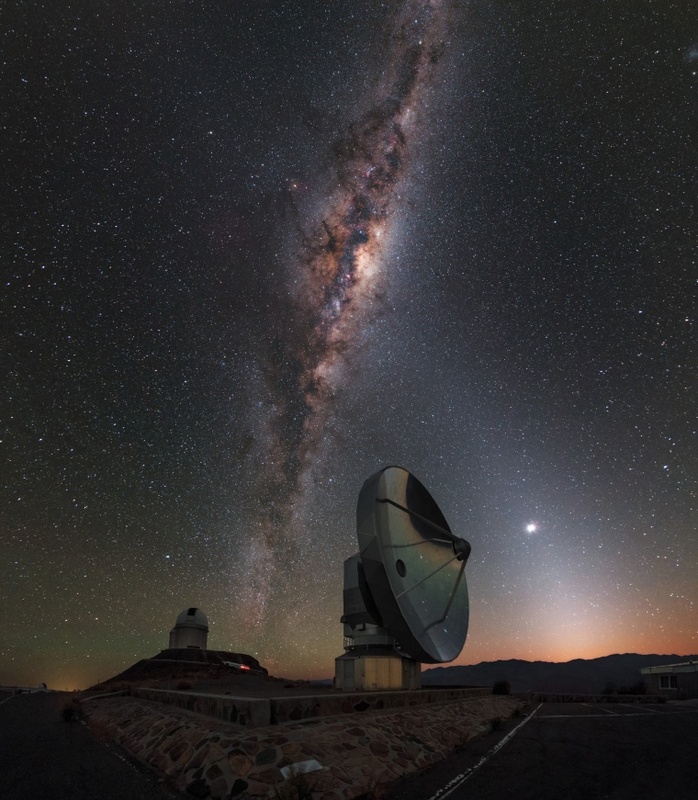 The dusted Milky Way cuts between SEST and the ESO 12-foot telescope, while the planet Venus, "the morning star," shines out in front of the dormant dish of SEST. The wavy outline of Saturn's polar hexagon is visible while the moon Tethys is just barely seen below the planets ring plane in this NASA image released on Sept. 14. 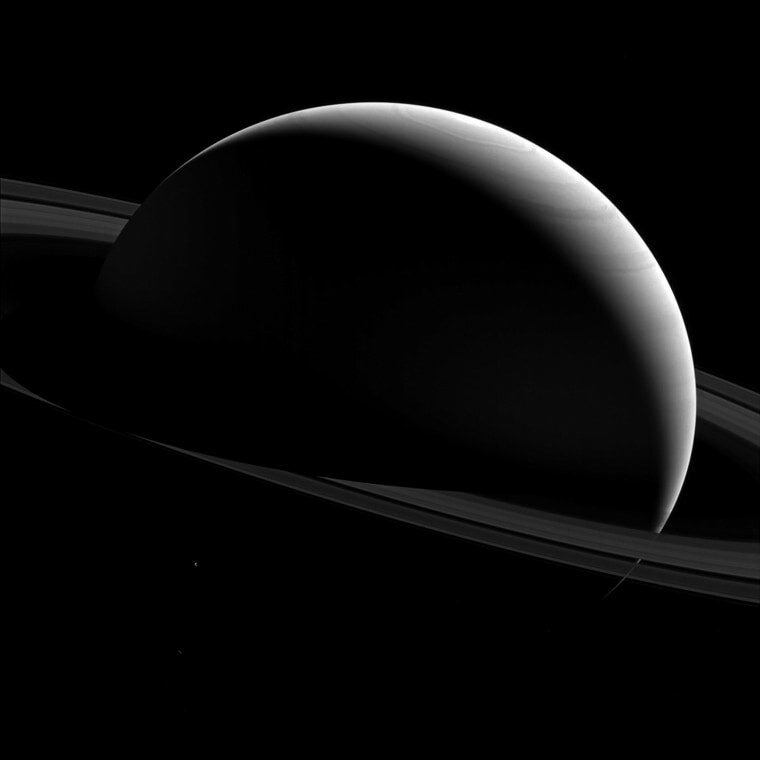 The view was captured by the Cassini spacecraft at a distance of approximately 1.5 million miles from Saturn. 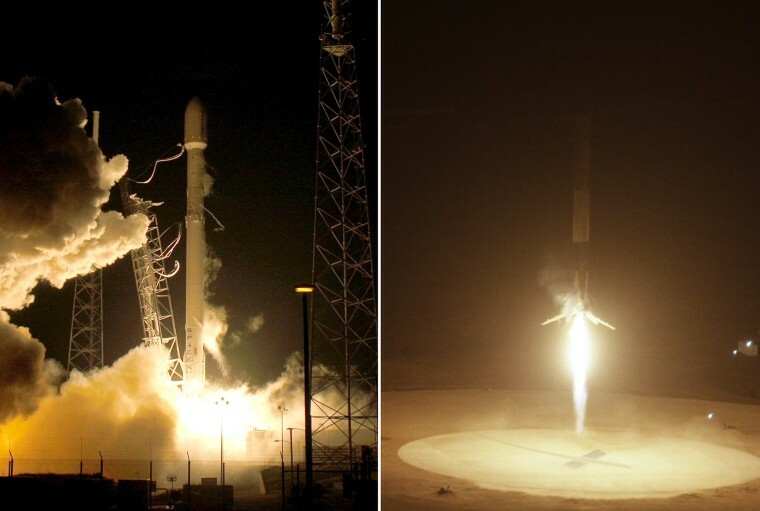 At left, a remodeled version of the SpaceX Falcon 9 rocket lifts off at the Cape Canaveral Air Force Station on Dec. 21. At right, the 15-story first stage of the rocket completes an historic vertical landing, right, at a prepared landing zone. The launch and landing were the first from the private U.S. spaceflight company since its rocket exploded on liftoff in June. SpaceX had not previously attempted to land a rocket on land, and it marked the firm's first successful attempt to recover a rocket from an orbital flight.